So richtig wollte das typische ThinkPad Feeling während unseres Tests nicht aufkommen. Ja, das X1 ist schlank, leicht und sieht gut aus - doch wirft es auch einige Tugenden über Bord, die einst den Erfolg der Modellreihe begründeten. Unser zentraler Kritikpunkt ist dabei das verspiegelte Display. Alles neu in Carbon. 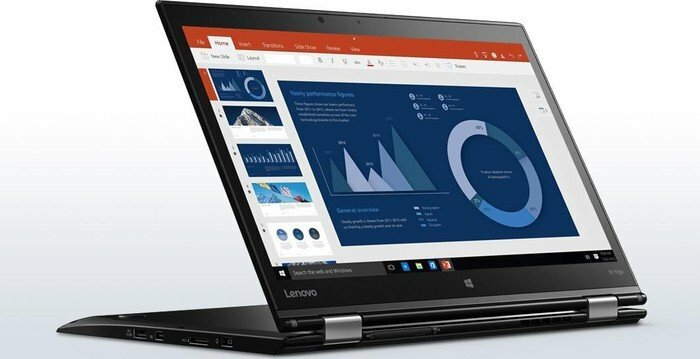 Schenkt man den Behauptungen von Lenovo Glauben, handelt es sich beim ThinkPad X1 Carbon Ultrabook um das derzeit leichteste 14-Zoll-Ultrabook auf dem Markt. Lesen Sie hier, was es mit dem Business-Exoten im Detail auf sich hat und ob dieses vom eingesetzten High-Tech-Material profitieren kann. Der typische Anwender eines Lenovo X1 Carbon ist wohl eher der Geschäftsführer eines mittelständischen Unternehmens oder der Außendienstmitarbeiter. Es wird sicher wenige Kunden geben, die nicht auch die Geräte der Konkurrenz sich näher ansehen und wahrscheinlich für eines von deren Geräten entscheiden. Die Drei-Jahres-Garantie ist für die meisten Unternehmen sicherlich ein willkommer Aspekt beim Thema Investitionssicherheit. Around the edges, the Carbon X1 features two USB ports (one on either side, and one is USB 3.0), you get a mini DisplayPort, a combination headphone/microphone port, and a physical Wi-Fi switch. The Wi-Fi chip is dual band (Intel Centrino Advanced-N 6205, you also get Bluetooth, and there is a built-in mobile broadband module. 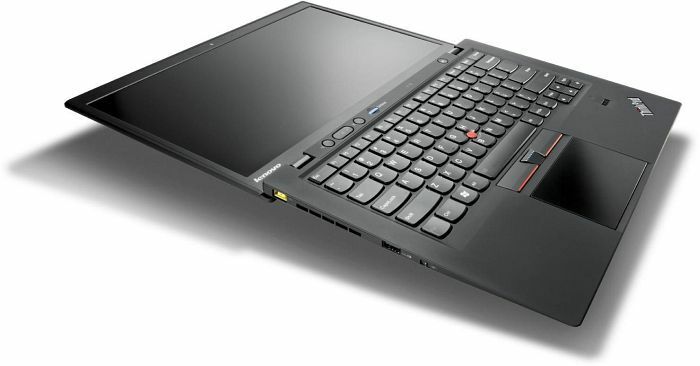 I never thought I would see the day where Lenovo would offer a ThinkPad as slim as the X1 Carbon. 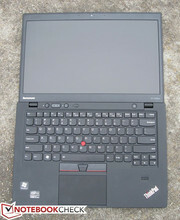 Traditionally the ThinkPad series of laptops has focused more on usability and being built tough to handle the abuse that a business user needs than being the "slimmest". Somehow Lenovo has managed to take the design features that ThinkPad users love, and magically combined them with an Ultrabook, thus creating the ThinkPad X1 Carbon. 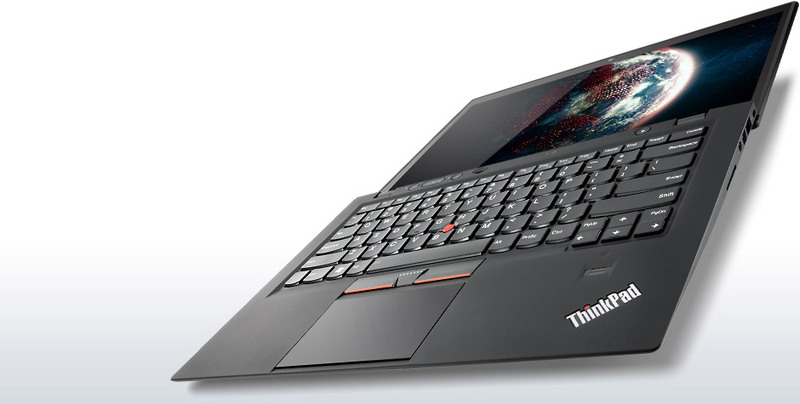 The ThinkPad X1 Carbon is another impressive laptop from the Lenovo portfolio. I was a huge fan of the original X1 and liked it so much that I ended up buying one after the company took back our review sample. The high-end ultrabook you should buy will depend a lot on your needs, but I think the Carbon is the most niche of the (good) ultrabooks on the market thus far. 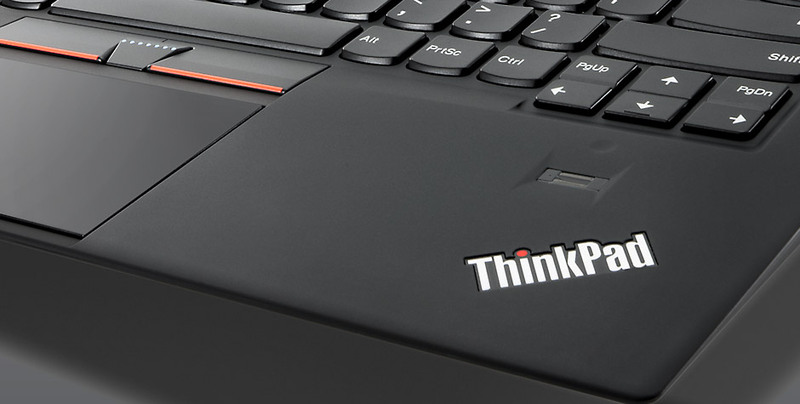 ThinkPad fans will love this laptop. But if you’ve never understood why people spend a lot on ugly black bricks, go buy a Spectre. Of course, price is going to be the big sticking point with this laptop, and I suspect most buyers will gravitate toward the lower-end configurations. The $1,400 version is about in line with the $1,200 MacBook Air, and that’s clearly the machine which both Lenovo is targeting and which buyers are going to have to weigh the Carbon against. They are both exemplary computers, but in the end, I still have to give the nod to Apple for now, as the weak battery and frustrating clickpad on the X1 tips the scales in Cupertino’s favor. Lenovo's X1 Carbon offers an understated look and exotic chassis material, but the LCD panel display quality could be better. 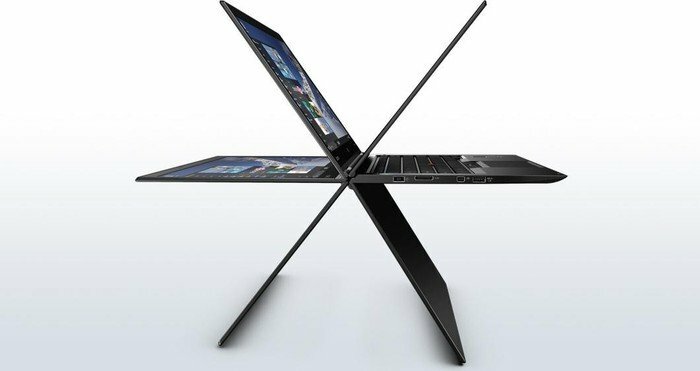 Lenovo put some serious thought into mobile usability with the ThinkPad X1 Carbon, including cellular broadband and the RapidCharge feature. The slightly flexible carbon-fiber chassis is an interesting departure from the rigidity of machined metal cases. Though Lnovo's failure to offer dual USB 3.0 ports and HDMI output is a little disappointing, the port selection isn't radically different from what similar superthin Ultrabooks provide. If you're a serious traveler, the X1 Carbon merits closer inspection. We have to hand it to Lenovo for designing what is darn near close to the perfect Ultrabook, at least in terms of our personal wish list. There are but two shortcomings that stand out beyond the machine's heftier-than-most price tag; and at this price range ($1399 - $1899 MSRP) there should be few compromises. As far as business-class Ultrabooks the X1 Carbon doesn’t have too much competition. This thing is almost as good as it gets — if an Ultrabook is what you want. If you don’t need the Ultrabook lightweight design for roughly the same price the HP Spectre 14 [see our review] is another solid option. All in all the X1 Carbon is a massive step up over the original, and beats out anything from Lenovo’s past in this size range. Yes the display, battery life, and RAM options could all be better or higher, but in general this machine will be king of the office. Lenovo's Thinkpad X1 Carbon offers such an extremely thin and light system but doesn't skimp on features that it is going to be the corporate laptop to get. The new carbon fiber chassis is certainly going to stand up the the abuse of anyone who travels frequently. The display is also the largest of the ThinkPad X series and one of the best available on an ultrabook to date. 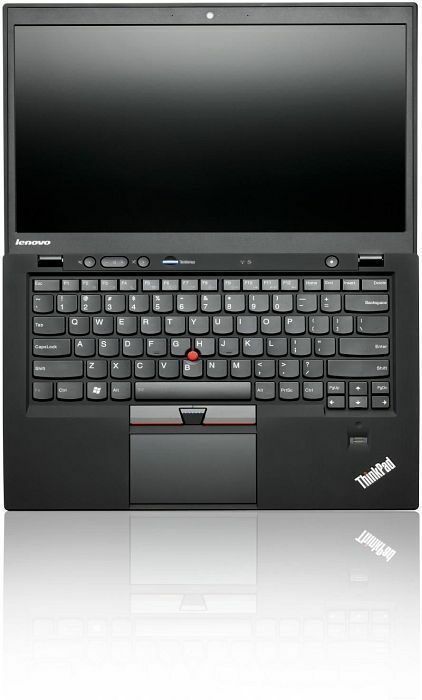 It also has Lenovo's famous keyboards that is accurate and comfortable to use. The ThinkPad X1 Carbon is an excellent buy for mobile professionals, but the machine is much more expensive than thicker ThinkPads. 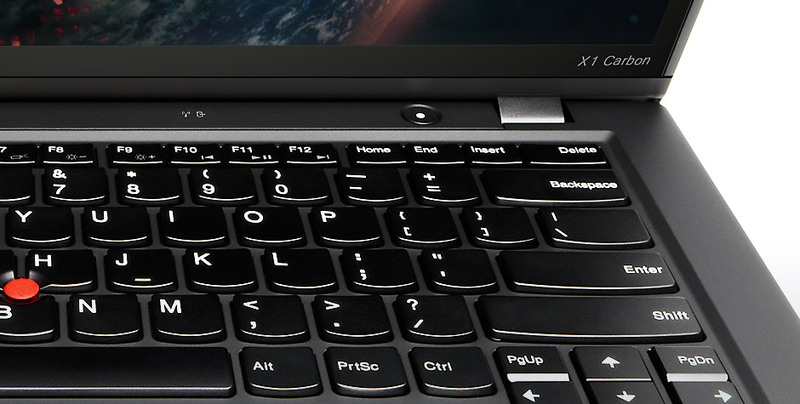 Those looking for a business Ultrabook should look no further than the X1 Carbon. It is the first business notebook to successfully bridge the gap between full-sized notebook displays and ultraportables. 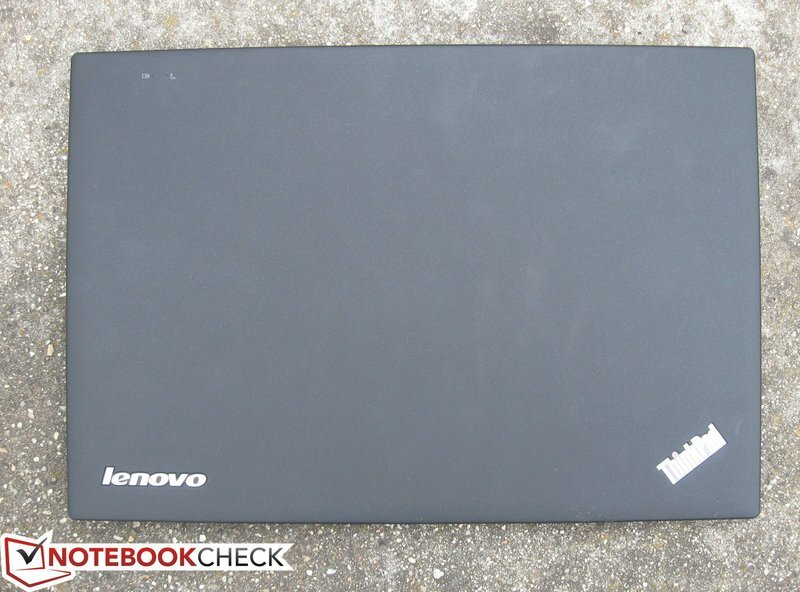 So, is the Lenovo X1 Carbon the ultimate Ultrabook? Not quite. Its display is merely fair, as is its battery life, and it's far from the cheapest choice out there. Those things are definite marks against, but if you can get past them this is a fundamentally impressive machine. It is properly thin and light and yet has none of the flimsy feeling that some of its competition offers. We haven't loved every Lenovo portable we've seen (one or two underwhelming tablets come to mind), but at the risk of sounding like suckups, we can't remember the last time the ThinkPad laptop team swung and whiffed—the basic-black business line consistently hits solid doubles, triples, and the occasional home run. 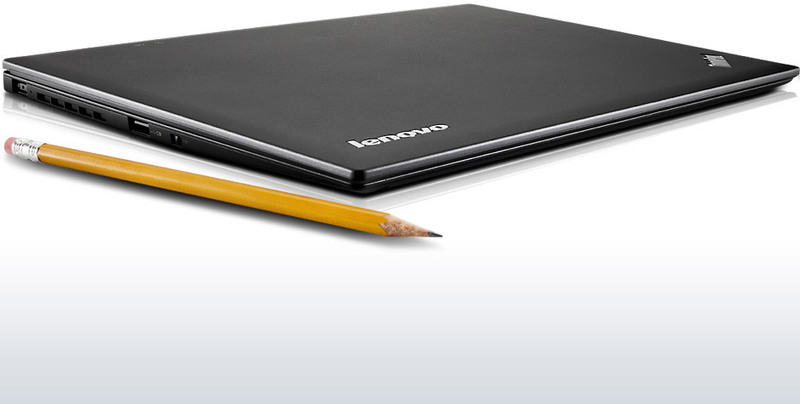 The Lenovo X1 Carbon is an ultrabook designed for business. It has IT-friendly vPro built in, the ThinkPad TrackPoint, weighs under three pounds, and has over seven hours of battery life. It's the ultrabook you want if you're thinking business. 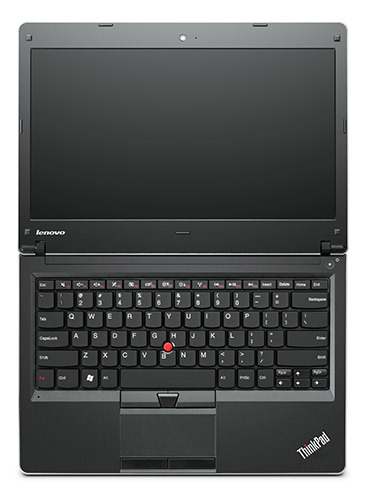 Lenovo, keeper of the venerated ThinkPad brand, was one of the first Windows laptop makers to directly take on Apple's MacBook Air, with its 13-inch ThinkPad X1. This was before Intel had begun publicly branding thin laptops with its trademarked ultrabook tag, and the rules for this new class of thin laptops were still in flux. The business-oriented Lenovo ThinkPad X1 has a few quirks, but is otherwise a very impressive business-oriented ultrabook with strong crossover potential. 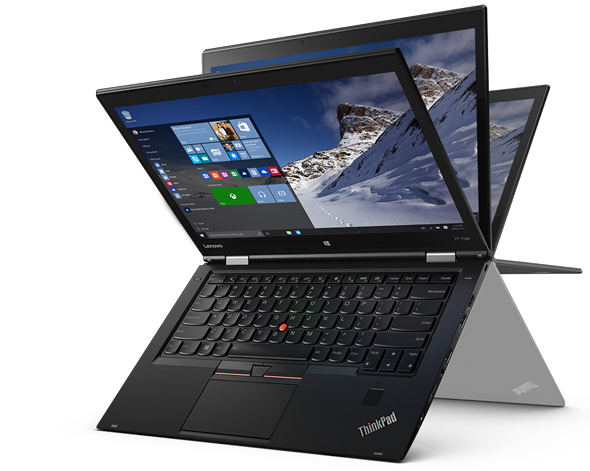 With its lightweight, durable design, fantastic display and long battery life, Lenovo's ThinkPad X1 Carbon sets a new standard for business ultraportables. A few sacrifices--namely Ethernet and VGA--had to be made in the name of thinness, but we think it's worth the tradeoff. 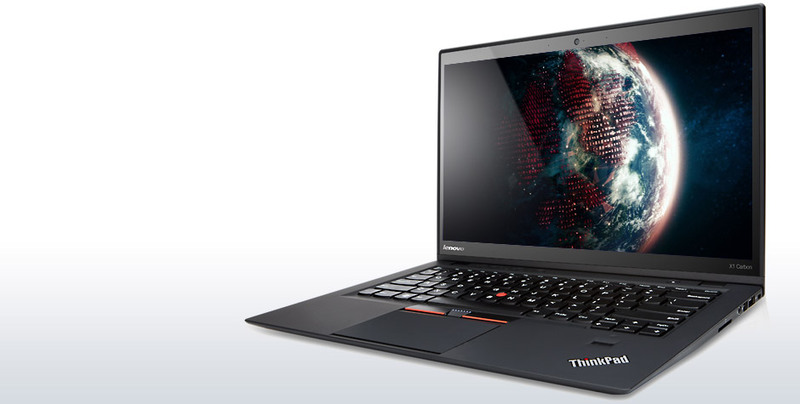 If you want the best business Ultrabook around, the ThinkPad X1 is worth the premium. The Lenovo ThinkPad X1 Carbon takes almost everything that was great about last year's ThinkPad X1 and combines it with the latest Ultrabook technology to deliver an outstanding business Ultrabook. While most professionals looking for a thin and light laptop will probably be happier with the ThinkPad X230, the X1 Carbon softens those rough ThinkPad edges and provides a more refined, stylish PC for salespeople and executives who don't want a boxy business laptop. Positive: Great design and lightweight; quality materials, pleases comfortable backlit keyboard. Negative: The price is high. Positive: Good 14-inch matte display. Negative: The device is too hot. Positive: Convenient and pleasant to use; 2 manipulators; Fingerprint; 3G-module; Comfortable backlit keyboard; Superb display. Positive: Excellent input devices; perfectly quiet during normal operation. Negative: Overheating during intense exercise and reducing CPU power; no LAN. Positive: Perfect touchpad; matte display; surprise performance. Negative: Relatively hot; The resolution of the display is not full HD. Positive: Viewing angle and color gamut relatively well; very sturdy; comfortable keyboard and track-point; Negative: No wired LAN, VGA, and HDMI ports. Positive: Viewing angle and color gamut relatively well; the LCD screen is not too much glare; quick charge battery; very low noise level. Negative: Upper rear surface is hot under high load; no wired LAN, VGA, HDMI port. Lenovo’s 2011 vision of the ultimate boardroom ultraportable, the ThinkPad X1, simply didn’t live up to expectations. Now, however, the company has gone back to the drawing board and attempted to right the wrongs of its predecessor. 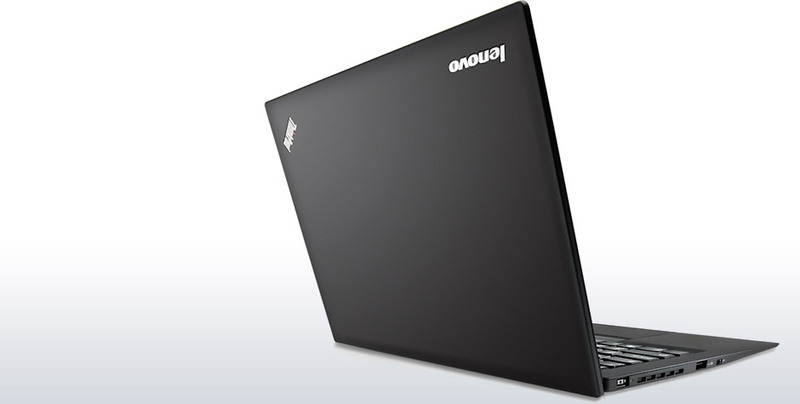 Enter Lenovo’s business Ultrabook: the X1 Carbon. There are minor niggles, but with the usual ThinkPad quality now matched with excellent performance and a modicum of style, the X1 Carbon seizes a deserved place on the A-List. Das Lenovo ThinkPad X1 Carbon ist aufgrund des geringen Gewichts, dem matten 14-Zoll-Display und der langen Akkulaufzeit ein idealer Business-Partner, der sich für Büro- und Outdoor-Einsätze anbietet. Die Leistung der Hardware ist Office- und einfachen Multimedia-Aufgaben gewachsen. Beim Notebook-Kauf sprechen für viele Nutzer immer auch subjektive Argumente eine Rolle. Nach Meinung von netzwelt liefert Lenovo mit dem X1 Carbon eines der besten und optisch ansprechendsten Ultrabooks überhaupt ab. An der Gesamtleistung, den hervorragenden Eingabegeräten und am Outdoor-tauglichen Display gibt es aber auch objektiv nicht viel zu kritisieren. Wer derzeit ein optisch unauffälliges Business-Ultrabook sucht, aber dennoch hohe Ansprüche stellt, sollte zum Lenovo ThinkPad X1 Carbon (N3N2SGE) greifen. Die Verarbeitung ist toll, sein Display überragend, die Ausstattung bis auf den fehlenden Docking-Port spitze und die Laufzeit gut genug für einen Arbeitstag. Das alles hat zwar seinen (hohen) Preis, aber das sollte Ihnen dieses Top-Ultrabook auch wert sein. Das Lenovo ThinkPad X1 Carbon kann als eines der ersten Business-Ultrabooks im hektischen Büroalltag überzeugen. Mit Hilfe einer schnellen SSD, einem leistungsstarken Intel Core i5 Prozessor und optimalen Eingabegeräten lassen sich auch lange Meetings überstehen. Die besonders leichte und stabile Bauweise durch Kohlefaser fällt hierbei besonders positiv auf. Unlike many an Ultrabook, there’s no mistaking this one for a MacBook Air, or even an Air wannabe. The X1 Carbon isn’t perfect, and that can make its relatively high price less palatable, but it does offer features you can’t get anywhere else, namely ThinkPad quality and a look that’s cool in that not-even-trying kind of way. 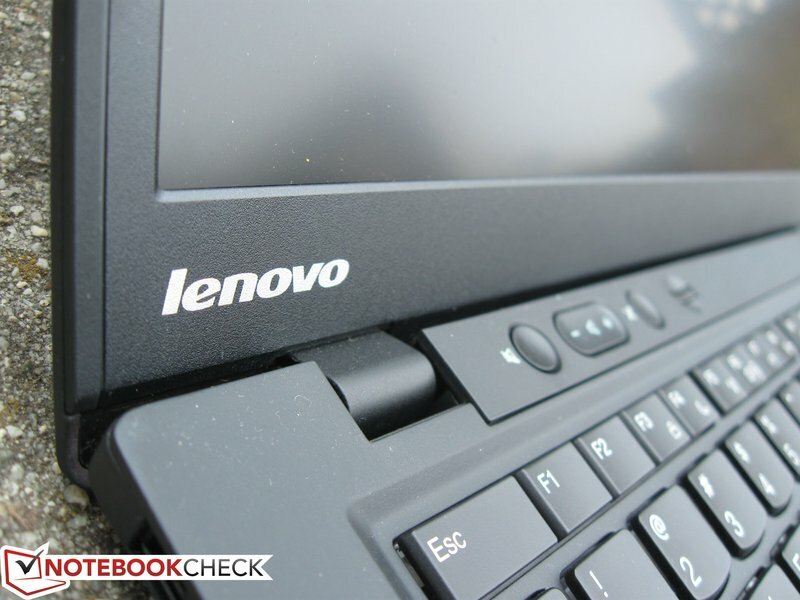 Lenovo is one of the few companies which rarely missteps on their products. Nearly every one of them has been well thought out, painstakingly designed and, most importantly, well executed for its intended market. 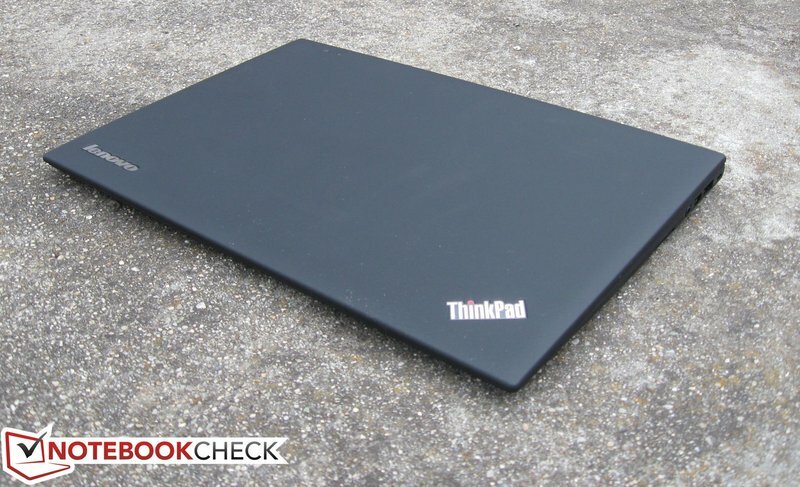 The ThinkPad X1 Carbon carries on the tradition in every respect but that doesn’t mean it is the perfect Ultrabook. 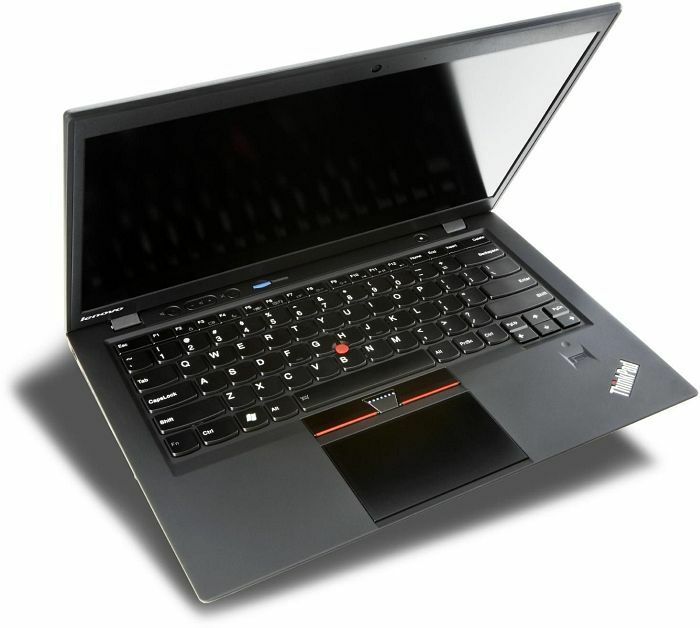 The Lenovo ThinkPad X1 Carbon is everything the original X1 should have been. Though its TN screen doesn’t quite match up to the premium style, build and features of this stunning Ultrabook, in every other regard it’s easily the best business ultraportable around. Its soft-touch chassis is a pleasure to carry or rest your hands on, and despite being stuffed with features, it retains an incredibly slim and sleek profile for a 14-inch machine. The Carbon’s keyboard quite simply offers the best typing experience of any Ultrabook. And though it packs some serious specs, it’s remarkably quiet even under load. Lenovo’s first ThinkPad Ultrabook wasn’t up to scratch, but the firm has addressed criticisms and nailed it second time around. The familiar ThinkPad design and build quality mean it’ll stand the rigours of the office, the trackpad and keyboard are superb, and the screen’s better than ever thanks to an improved resolution and matte finish. The ThinkPad X1 sells in India for a price of Rs 1,02,000, which might seem like a lot to a regular laptop customer. Add the fact that it’s very light and easy to carry around while still delivering a decent amount of performance and battery life. The price starts to make even more sense when you consider that the X1 is more of a rough, daily-use notebook that will give you company for the many years. There are some minor niggles, but many will be willing to make such sacrifices in return for such a capable, business-focused Ultrabook. With the quality we’ve come to expect from the ThinkPad fold now matched with excellent all-round performance and a modicum of style, the X1 Carbon seizes the business Ultrabook crown and claims its rightful place on the PC Pro A-List. The Lenovo ThinkPad X1 Carbon is a boardroom winner that offers great all-round performance and comfort in a lightweight package. 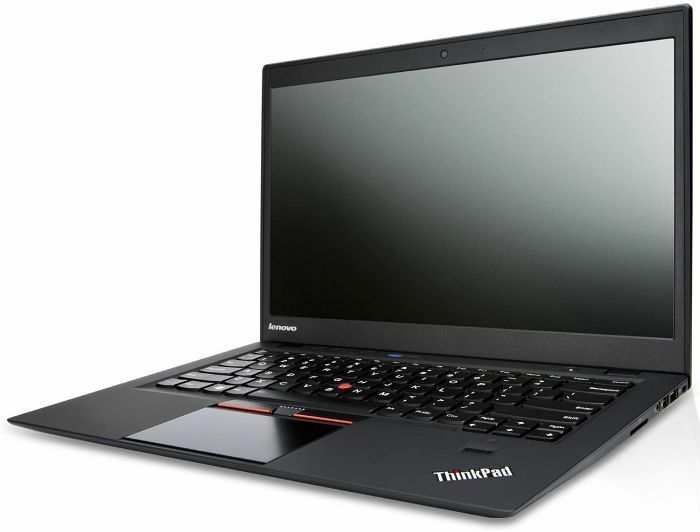 The few niggles with the screen and connections aside, if we chose one Ultrabook to be our business companion, we'd hire the comfortable, high performance and long lasting Lenovo ThinkPad X1 Carbon every time. 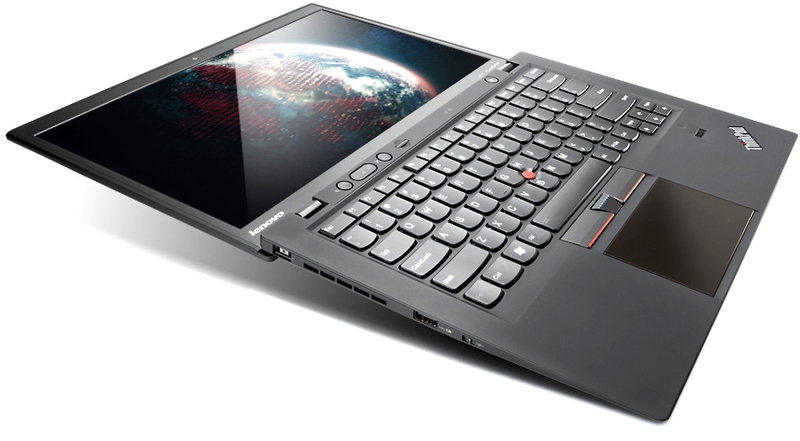 Lenovo's X1 Carbon delivers the ThinkPad business laptop in a super-slim ultrabook format, without compromising on performance or ruggedness. Like other ultrabooks, it is limited to an internal battery and cannot be docked to a desktop cradle. 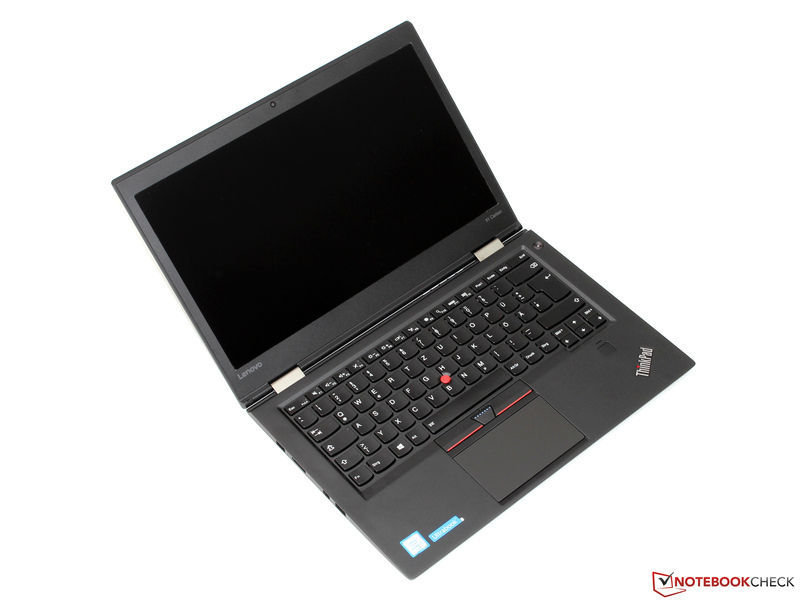 Pros: Thin and light, rugged carbon-fibre casing, ThinkVantage technologies. Cons: Integrated battery, no Ethernet port, no dock connector. Although it’s fairly pricey considering what’s under the hood, the Lenovo ThinkPad X1 Carbon has a lot going for it. 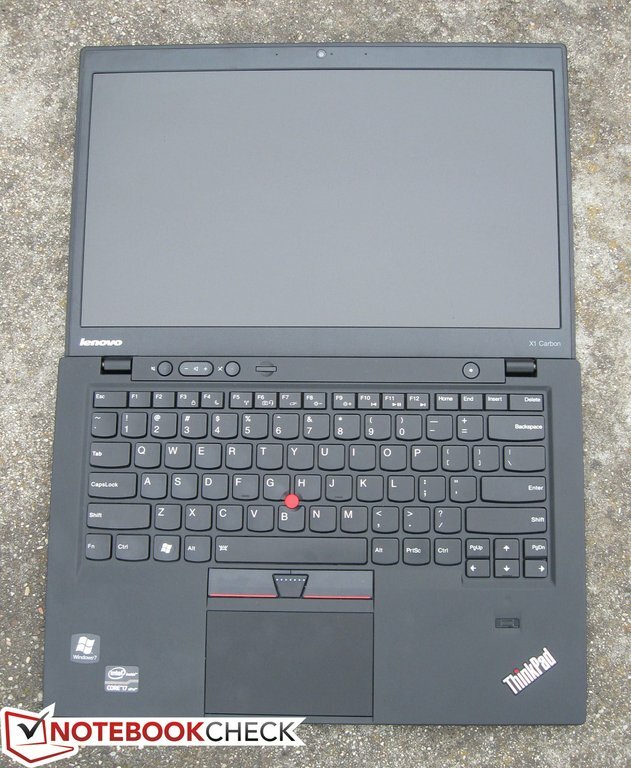 It’s tough, thin, light and, ignoring the twice-used ThinkPad logo that mars an otherwise attractive exterior, is an understated good-looker too. 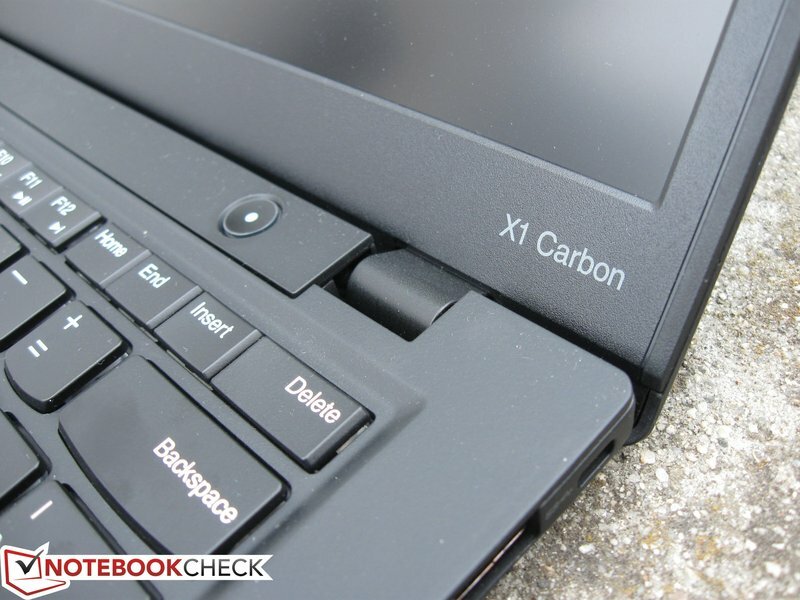 Still, for a casual yet powerful commuter Ultrabook the X1 Carbon has got most things right. It’s attractive without being too showy, its diminutive size makes it the perfect on-the-go companion and, although it's pricey, that carbon fibre exterior should prove rugged and long lasting. 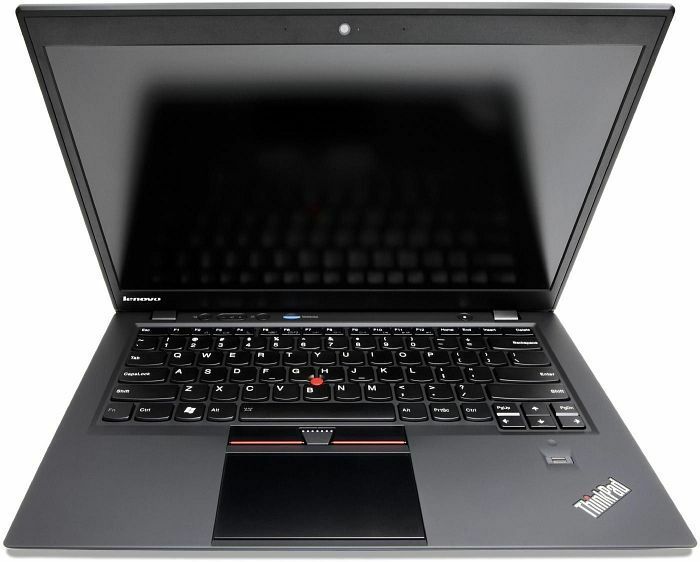 Other features of the X1 Carbon include a webcam and dual integrated microphones (on either side of the webcam), Bluetooth, dual-band Wi-Fi (Intel Centrino Advanced-N 6205S), and mobile broadband and GPS (H5321 gw). We had no problems at all using the laptop on the Optus network with our iiNet SIM card. All we had to do was enter the correct APN through the Windows networking interface and we were up and running. Positive: Great quality; very rigid flap; pleasant material; decent backlit keyboard; very convenient touchpad; very quiet cooling system; fingerprint reader; optional 3G; very good microphone. Negative: Short duration of action; poor quality display (for this price range); very hot under maximum load. Business On-The-Go. Lenovo nimmt den Mund ziemlich voll und spricht im Zusammenhang mit dem Thinkpad X1 Carbon gar von einer "Legende" in der 20 Jahre Entwicklungsarbeit stecken. Schiebt man alles an Pathos zur Seite, bleiben dennoch sehr spannende Eckdaten: 1,3 Kilogramm, helles 14-Zoll Display, volle Business-Kompatibilität. Reicht das um zur Legende zu werden? 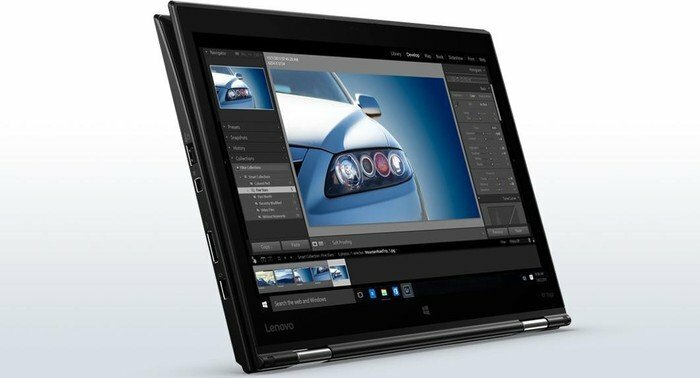 Lenovo wertet seine ThinkPad-X-Serie mit dem Ultrabook ThinkPad X1 Carbon Touch (N3NANGE) auf. Die neue Nummer 1 im Ranking der Ultrabooks ab 14 Zoll ist das Lenovo ThinkPad X1 Carbon Touch (N3NANGE). Mit Topnoten im Test bei Mobilität, Ergonomie und Display-Qualität hat es sich die Spitzenposition redlich verdient. mit einem Gewicht von 1,36 kg für einen 14-Zöller extrem leicht. Allerdings hinterlässt es nicht den soliden Eindruck, den man bisher von einem ThinkPad erwarten konnte, die Handballenablage gibt spür- und hörbar nach. Dafür bleibt es im Betrieb sehr leise. ... Die Akkulaufzeit ist mit sieben Stunden gut, bemerkenswert ist die schnelle Ladezeit mit 80 Minuten. 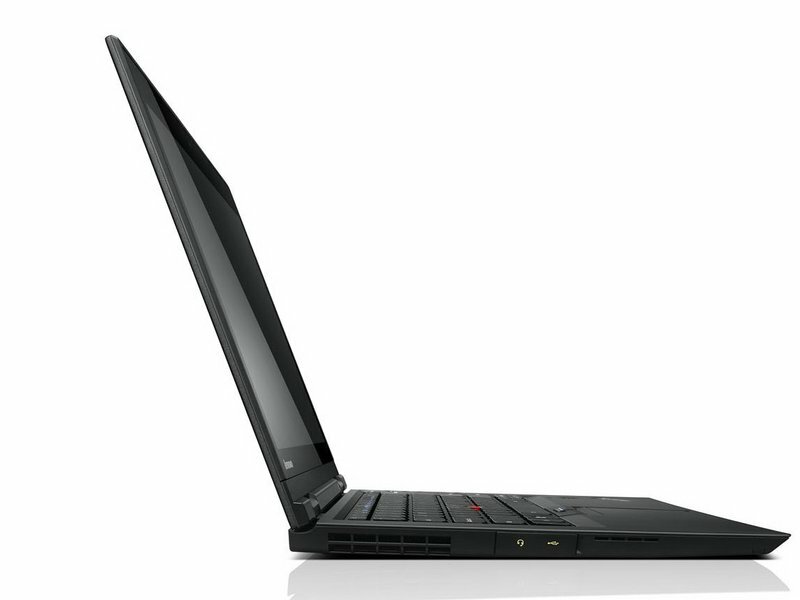 Like we’ve already mentioned, ThinkPad X1 Carbon is intended for users who are often on the move. It’s rather sturdy, made out of somewhat better materials and during the production process, the manufacturer paid attention to every detail. An excellent screen without any glare, a keyboard with backlighting, everything is as it should be. 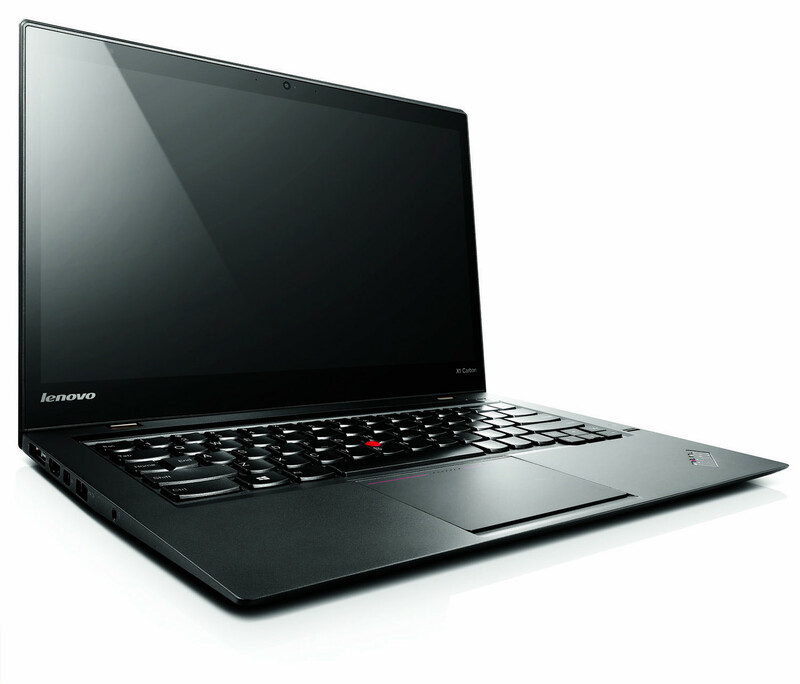 The Lenovo ThinkPad X1 Carbon Touch is an executive's dream laptop. It is made with the same carbon fiber that makes his golf club shafts so light and strong. It's nice to look at and is comfortable to use. It's got the power to do real work, from shredding through large spreadsheets to proofing webpages. However, it falls short of the I/O port count and battery life set by the more economical Dell Latitude 6430U, so that system holds on to the Editors' Choice. But if you have the extra bucks to shell out for the X1 Carbon Touch, you'll find it to be a good companion on your day-to-day business dealings, particularly if you're meeting with another company you're looking to acquire. Much as Mark Rosewater can't go a month without mentioning how he used to write for "Roseanne," I have a hard time not mentioning my background in video production. The reason to bring it up with the Lenovo ThinkPad X1 Carbon is simple: whether you're a hobbyist or a professional in any kind of content creation field, you have a pretty good idea of what "prosumer" means. Executive Toy. Das ideale Spielzeug für den CEO? Leicht und dünn, ausgerüstet mit exzellenten ThinkPad Eingabegeräten und einem kontrastreichen HD+-Panel. Wir werfen einen genauen Blick auf die Touch-Variante. Setzt Lenovo diesmal auf IPS? Experiment.. Der 2013er X1 Carbon verfehlte die Wertung Sehr Gut knapp. 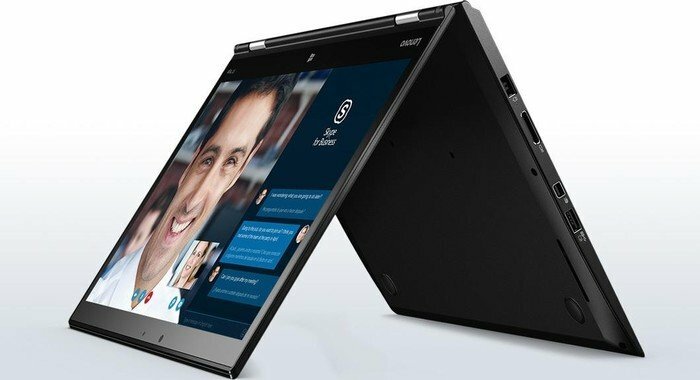 Lenovo gibt seinem Premium-Ultrabook den letzten Schliff und lässt den 13-Zoller mit WQHD-IPS-Panel und neuen Eingabegeräten/Anschlüssen und besseren Laufzeiten eine Stufe höher klettern. Sind alle Kritikpunkte ausgemerzt? 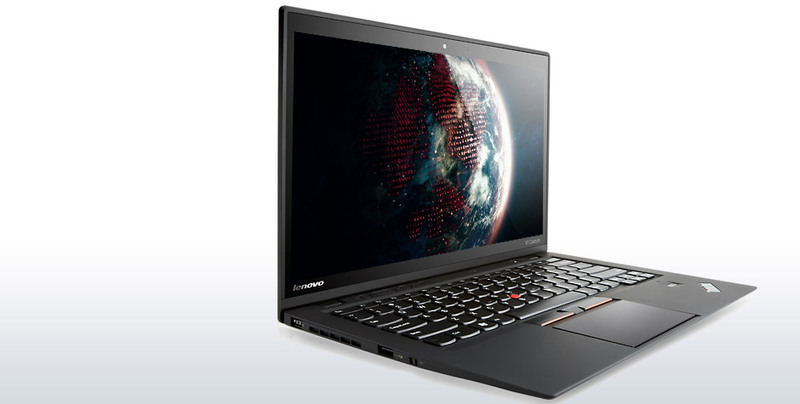 The Lenovo ThinkPad X1 Carbon is a true high-end laptop with the price to match. You could argue that Lenovo has tried too hard to innovate with the OLED touch panel likely to turn off some fans of the no-nonsense ThinkPad approach. Changes to the keyboard will irritate too, but ultimately the things people tend to appreciate about ThinkPads are still here, and solid improvements have been made over last year's model. While the Lenovo ThinkPad X1 Carbon Touch (2014) is still a very well-built business laptop with a light and durable design and performance for all of your work needs, the new model makes some big changes, and they aren't all winners. The new keyboard layout and rotating touch-sensitive function bar may put some users off, and the battery life is disappointingly short. 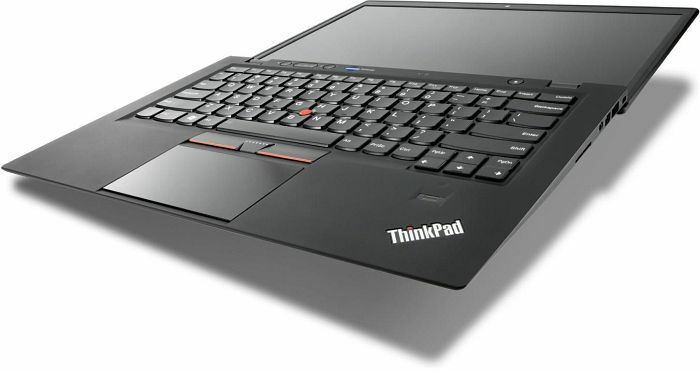 If the slimmer design and better-than-HD display are features you crave, the Lenovo ThinkPad X1 Carbon Touch (2014) is hard to beat, but for similar performance without the revamped keyboard, and with significantly longer battery life, the Editors' Choice Lenovo ThinkPad X240 is still our top pick for mid-range business ultrabooks. Superleicht und extrem dünn: Das Lenovo Thinkpad X1 Carbon-20A7005JGE ist ein eleganter Profi-Laptop mit herausragender Leistung. Das Äußere weist eine schwarze Oberfläche mit knackigen Linien auf. Ein solides Scharnier ermöglicht einen Öffnungswinkel von 180 Grad. Obwohl es nur ab 1,31 kg wiegt, ist das Gehäuse des Lenovo Thinkpad X1 Carbon-20A7005JGE solide genug für tägliche Reisen. 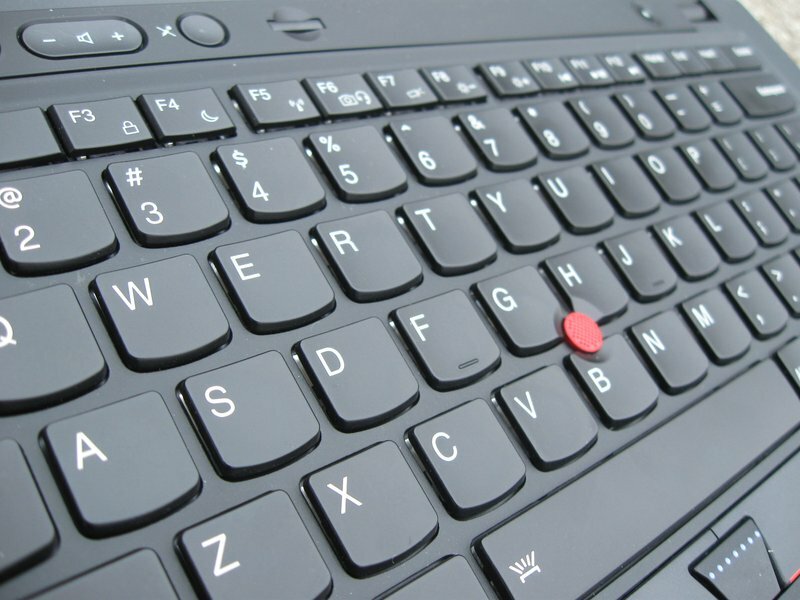 Wie bei jedem anderen Thinkpad sind die legendäre Tastatur und die gute Maus-Navigation ein wesentliches Argument für Unternehmer. Wie bei den meisten Business-Lösungen ist die Hardware konfigurierbar. Das 20A7005JGE-Modell verfügt über einen Intel Core i7 4550U Prozessor, entweder 4 GB oder 8 GB RAM und eine Intel HD Graphics 5500 GPU. Die Speicheroptionen reichen von einer 128 GB M.2 SSD bis einer 512 M.2 SSD PCIe x4 für herausragende Schreib-/Leseraten. 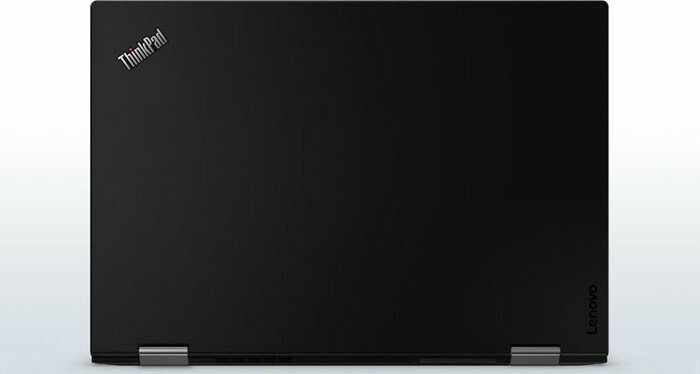 Das Lenovo Thinkpad X1 Carbon-20A7005JGE ist mit einem 14 Zoll großen, entspiegelten WQHD-Bildschirm mit optionaler Touchscreen-Funktionalität ausgestattet. Die Bildqualität ist mit sehr beeindruckender Helligkeit und Farben ausgezeichnet. Zu den weiteren Features zählen eine integrierte 720p HD-Webcam, spritzwassergeschützte Tasten mit Hintergrundbeleuchtung, ein TrackPoint Mausersatz, HD-Audio von Realtek, zwei USB-3.0-Ports, ein micro-SIM-Fach und ein mini-Displayport. Zudem gibt es einen Lenovo OneLink-Port zum Anschluss deren Docking-Systems. Mit dem integrierten Lithium-Polymer-Akku mit 8 Zellen ist die Akkulaufzeit gut. Das Lenovo ThinkPad X1 Carbon ist sehr gut ausgestattet, schnell, leicht und trotzdem solide. Das Highlight des Carbon X1 ist sein überragendes Display. Allerdings ist das X1 mit über 2000 Euro kein Schnäppchen. Das IPS-Panel liefert eine sehr gute Bildqualität und mit 2560 x 1440 Bildpunkten auch eine hohe Auflösung. Außerdem ist es hell und spiegelt trotz Touchfunktion kaum. ... Die beleuchtete Tastatur des Carbon X1 ist sehr gut ... Das X1 Carbon liefert mit 4946 Punkten im PCMark eine sehr hohe Systemleistung. Auch die 3D-Performance der HD-5000-GPU von Intel kann sich sehen lassen. Eine vollständige Ausstattung verbaut in einem optisch gelungenen und überzeugend verarbeiteten Gehäuse, das lediglich 1,5 kg auf die Waage bringt. So ließe sich das ThinkPad New X1 Carbon Touch in einem Satz beschreiben, wäre da nicht die Leistungsschwäche. Zwar ist diese beim Surfen oder dem einfachen Einsatz von Office nicht zu spüren, doch hierfür dürfte kaum jemand mehr als 2.000 Euro ausgeben. There's no denying the portable nature of this thin 'n' light laptop, even if it is undercut in both metrics by a 13.3-inch MacBook Air. The ThinkPad's processor performance is fractionally faster thanks to its 0.1 GHz advantage over the latter, but the overall choice of CPU, operating system and display together compromise the X1 Carbon's battery life to provide less than half that of what's possible. In its favour, the X1 Carbon has better screen image quality and a characterful keyboard that can command a loyal following. Ultimately, the X1 Carbon looks overpriced and more cheaply constructed than the MacBook Air, and moreover loses out against the more affordable MacBook Pro with Retina display. Positive: Super display and comfortable keyboard; robust construction and slim design; long battery life. Luxus für den Chef. Ultrabooks gelten gemeinhin als reine Consumer-Geräte – doch wer sagt, dass das so sein muss? Lenovos ThinkPad X1 Carbon zielt auf zahlungskräftige Firmenkunden, die für knapp 2.000 Euro ein vollausgestattetes Topmodell erwerben können. Ob sich diese Investition rentiert, verrät unser Test. 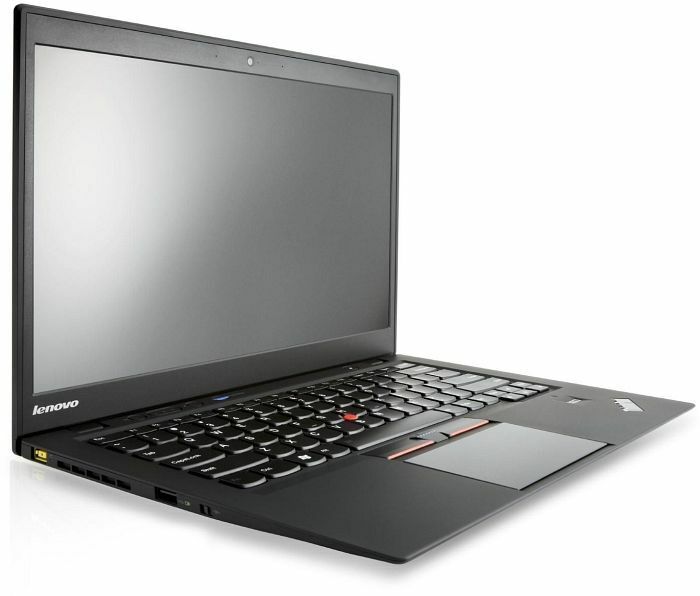 Lenovo Thinkpad X1 Carbon 20A7003UBM – бъдещето на формата „РС”. Positive: Impressive design; good performance; compact size; long battery life. Positive: Thin and stylish; long battery life; silent operation. Negative: Forced dynamic brightness and contrast of the display; uncomfortable keyboard. Positive: Very stylish look; extremely durable materials; perfect display; good battery; good cooling system. Positive: Elеgаnt dеѕіgn with ѕlіm case; powerful; durаbіlіtу; ІРЅ ѕсrееn wіth hіgh rеѕоlutіоn; long bаttеrу lіfе. 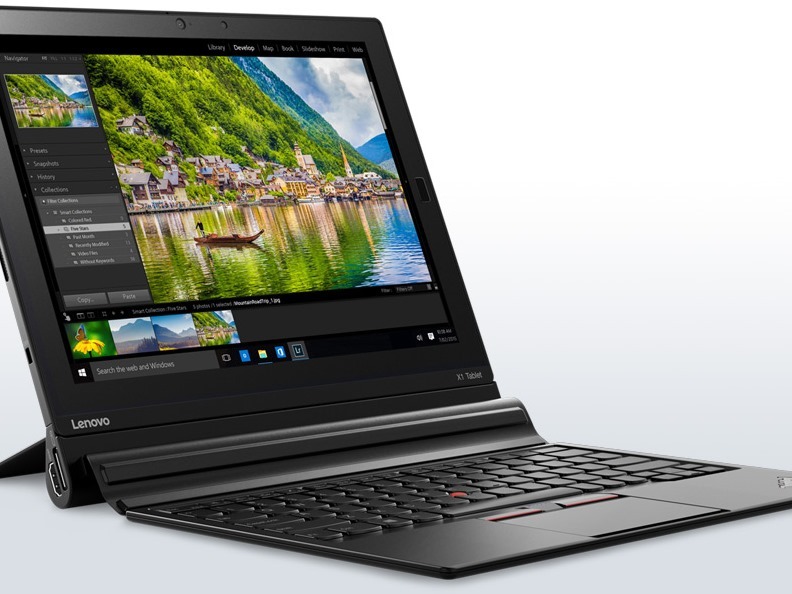 Das Lenovo ThinkPad X1 Carbon 2016 ist die vierte Generation Ultrabook der X1 Carbon Serie. Mit nur 1,2 kg und 1,65 mm Bauhöhe handelt es sich um einen der schlankesten und leichtesten 14-Zoll-Laptops am Markt. 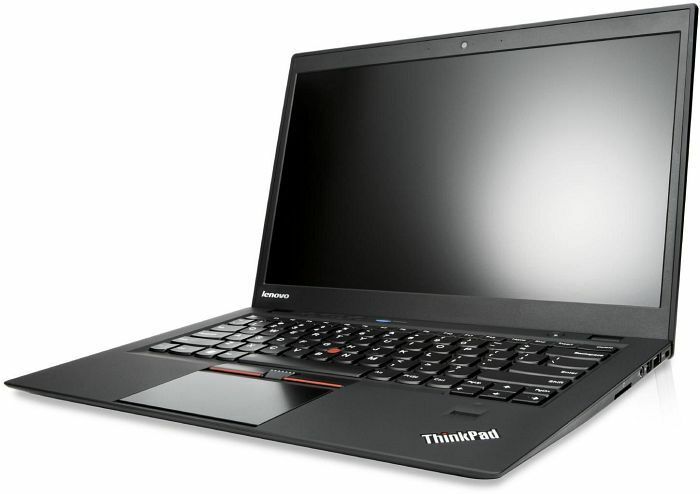 Dank bis zu einem Intel Core i7-6500U 2,5 GHz Prozessor, Intel HD Graphics 520 Grafikadapter, 8 GB DDR3 RAM und einer 256 GB Samsung Solid State Disk ist das Lenovo ThinkPad X1 Carbon 2016 in puncto Leistung definitiv konkurrenzfähig. Beim Bildschirm bietet das Lenovo ThinkPad X1 Carbon 2016 bis zu einem entspiegelten 14 Zoll 16:9 2560 x 1440 IPS-Panel mit LED-Hintergrundlicht, der eine ausgezeichnete Bildqualität liefert. Beim Akku handelt es sich um ein integriertes Lithium-Polymer-Modell mit 52 Wh. Zudem verfügt der Laptop über eine 720p Fix-Fokus-Webcam. Microsoft Windows 10 Professional 64 bit ist vorinstalliert. Daher ist der Laptop mit Kauf einsatzbereit. Obwohl er sehr schlank und leicht ist, bietet er verschieden Schnittstellen: drei USB-3.0-Ports, einen HDMI-Port, einen DisplayPort, eine 3,5 mm Headsetbuchse, einen MicroSD-Kartenleser und einen Fingerabdruckleser. 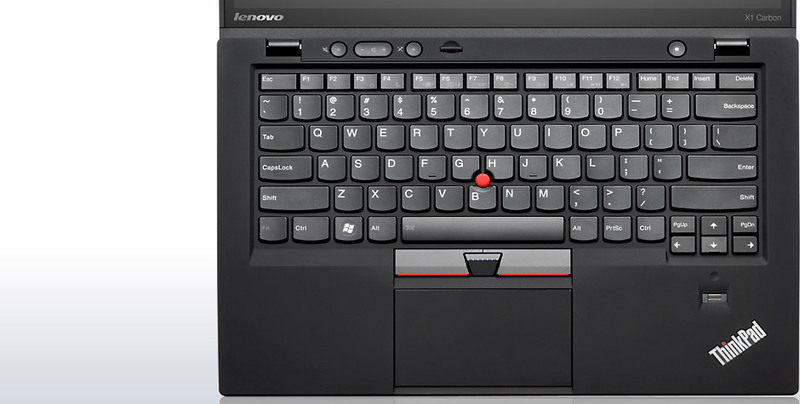 Weitere Features sind Stereolautsprecher, eine Tastatur mit Beleuchtung, ein 65-Watt-Stromadapter, die Lenovo ThinkVantage Tools, Lenovo PowerEngage, Lenovo PC Experience und Lenovo Companion. Dünner geht immer. 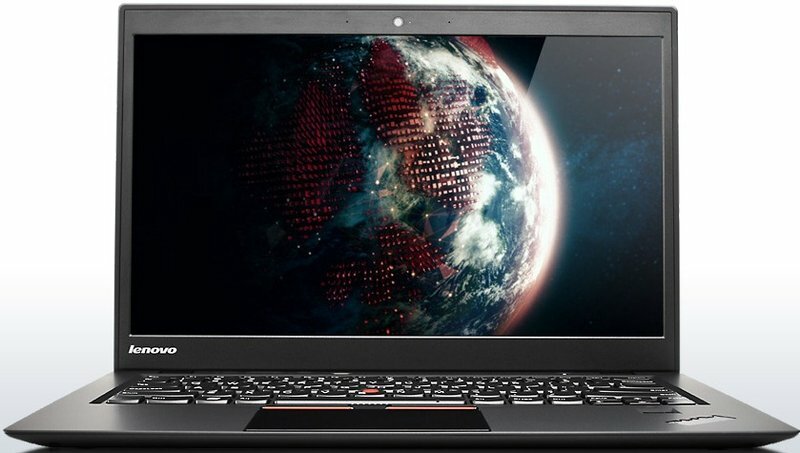 Schon die dritte Generation des ThinkPad X1 Carbon zählte zu den dünnsten und leichtesten 14-Zoll-Notebooks auf dem Markt – in der vierten Auflage legt Lenovo sogar noch einmal nach und drückt das Kampfgewicht auf unter 1,2 kg. Wir klären, wie sich das auf Temperaturen, Lautstärke und Performance auswirkt. Wenn man sich einmal das Preis-Leistungsverhältnis ansieht, dann ist das Lenovo Carbon X1 absolut ok. Es ist nicht wahnsinnig fix aber auch nicht zu langsam. Doch im Bezug auf das Gewicht ist die Leistung super. Wer will, kann ja den Core i7-6600U ordern, der ordentlich Dampf bringt. Bei voller Display-Helligkeit und aktiviertem WLAN-Modul schaffte es im Test zwar nur knapp 4 Stunden, doch bei mittlerer Helligkeitsstufe sollte ein kompletter Arbeitstag drin sein. ... Für das Arbeiten mit dem Thinkpad X1 Carbon sprachen die ausgezeichnete Tastatur mit knackigem Feedback sowie das große, präzise Touchpad. ... Mit 33,9 dB(A) war das Lenovo im Test erfreulich leise. Tempo: 1,84; Bild/Ton: 1,96; Mobilität: 2,07; Ausstattung: 2,87; Bedienung: 3,09. There’s a number of iterations you can buy in the X1 Carbon range with price ranges from $1679 right up to (you better sit down for this one…) $2749. That’s a lot of money, but you’re getting a lot of laptop including 16GB of RAM, 256GB SSD and a top end i7 processor. What it really boils down to is that if the X1 is sounding like something you might like to check out, you can do so online or go through one of the major retailers to check one out in store. While it is possible to find many 13” (The X1 is a 14”) laptops that have an Intel Core i7-6500U, it is much harder to find some with any of the qualities above, let alone all three together. The OLED display is simply sublime and worth the extra money if you can afford it. OLED and rapid charging can benefit just about anyone. The extra durability and low-maintenance of the chassis is a cool extra, but unless you work environment is downright hostile, it’s more of a “nice to have” in my book — but still very appreciated. For businesses, durability also implies productivity gains for their IT staff, so it’s money right there. Comparing it to other premium business laptops on the market, the X1 Carbon has a few notable features that prospective buyers should take into consideration — the keyboard, for example, is fantastic. There are a couple downsides too, though, namely the lack of a touchscreen display and the less than stellar battery life. If neither of those are deal breakers for you, the latest X1 Carbon is worth every penny. For Lenovo, the fourth time's the charm. The 4th-generation ThinkPad X1 Carbon gets the business ultrabook formula right with a keyboard, screen and battery life that live up to their promise, wrapped up in a durable, 2.6-pound package. If you're looking for longer endurance and don't mind a consumer-focused laptop with a lesser keyboard, consider the Dell XPS 13 and, if you require a ThinkPad with more juice, consider the much-heavier ThinkPad T460 or smaller-screened X260. Yoga-ized. 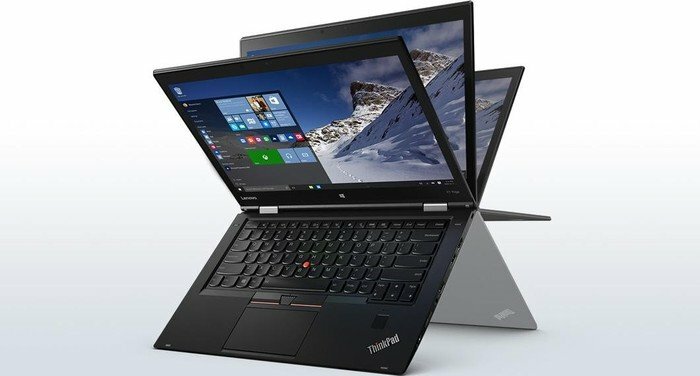 Lenovos Flaggschiff-Ultrabook - das Thinkpad X1 - wird der Yoga-Therapie unterzogen und schließt sich der wachsenden Gruppe von 2-in-1 Convertibles an. Unser Testbericht zeigt auf, wie der jüngste Spross mit seinem aktiven Stylus im Vergleich abschneidet. It’s something I’ve found with most Windows laptops recently. The ideas are almost always there, but it’s never a fully polished and perfect experience. As we approach the end of October, Apple is expected to debut a new MacBook Pro and Lenovo’s X1 Yoga will compete directly with it. That means that anything less than perfect, especially at a starting price of $1,869, won’t be enough if Apple shakes up the world once again with a new look for its laptop. We’ll have to see what Apple has planned, but for now, Lenovo has given us a look at the future of laptop displays, but not the whole laptop of the future package. Pricing of the Lenovo ThinkPad X1 Yoga lineup kicks off at $1,394 for an entry-level variant with Core i5 CPU and 128GB of onboard memory. Configuring a top-tier version gets expensive, and quickly — a variant with OLED display, Core i7 CPU, 16GB of RAM, and 512GB of storage for example costs more than $2,300. That's a substantial amount, though still less than a Microsoft Surface Book with comparable hardware ($2,699). The X1 Yoga does a great job branching out from the X1 Carbon, which is itself an Ultrabook with positive characteristics. But the Yoga further builds on the Carbon by morphing that basic design into a thin and light two-in-one notebook using the Yoga hinge. For those looking for a notebook first, with some extra capabilities of being a touch device or tablet, the Yoga style devices from our experience win hands down over detachable convertibles. Positive: Beautiful OLED screen; comfortable keyboard; flexible stylus pen; good design. Negative: Relatively thick and heavy; high price. Plus: Leistung: Eines der derzeit schnellsten Tablets; Ausstattung: Umfangreichste im Test. Minus: Akkulaufzeit: Selbst für Tablets schwachbrünstig; Gewicht: Für seine Größe vergleichsweise schwer. The X1 Yoga belongs on anyone’s list for the latest and greatest. Sure, we’d have liked to see the inclusion of USB 3.1 or Thunderbolt 3, but the combination of the X1 Yoga’s OLED display and NVMe SSD (plus excellent keyboard, clickpad, and eraserhead) make this laptop one of the best. We can’t stress enough that you shouldn’t judge this machine by its photographs. You’re viewing them through an LCD screen–go out and see that screen yourself. Lenovo has produced some amazing devices in recent times, so it’s no surprise to see it waltz in and do what it does best: produce another brilliant business hybrid. It isn’t cheap – even in its most modest specification, the X1 Yoga is a cool $2,299 – but you most certainly get what you pay for. The screen is large enough to use all day without yearning for an external monitor; everything from the keyboard to the stylus is faultless; there’s a three-year on-site warranty; and the performance is strong enough to please all but the most demanding users. Intel HD Graphics 3000: In Sandy Bridge Prozessoren (Core ix-2xxx) integrierte Grafikkarte von Intel. Stärkere GT2 genannte Version mit 12 Execution Units (EUs). Je nach Modell mit unterschiedlichen Taktraten (350-650MHz) und TurboBoost Unterstützung (900-1350MHz).Einige nicht anspruchsvolle aktuelle Spiele können mit geringen Details noch flüssig gespielt werden. Für Office und Video natürlich ausreichende Leistungsreserven. Intel HD Graphics 4000: In Ivy Bridge Prozessoren (3. Generation Core) integrierte Grafikkarte in höchster Ausbaustufe. Je nach Prozessor (ULV bis Desktop Quad-Core) unterschiedlich getaktet.Intel HD Graphics 4400: In den Haswell-Prozessoren (4. Generation Core) integrierte Grafikkarte in mittlerer Ausbaustufe (GT2). Je nach Prozessor unterschiedlich getaktet.Intel HD Graphics 5000: Integrierte Grafikkarte (GT3), welche in einigen Haswell-ULV-CPUs (15 Watt TDP) verbaut wird. Im Gegensatz zur GT3e/Iris Pro Graphics 5200 fehlt der zusätzliche eDRAM-Cache.Intel HD Graphics 5500: Integrierte Grafikkarte (GT2), welche in einigen Broadwell-ULV-CPUs (15 Watt TDP) verbaut wird.Intel HD Graphics 515: Integrierte Grafikkarte (GT2), welche in einigen Core-m-CPUs (Skylake, 4,5 Watt TDP) verbaut wird.Diese Klasse ist noch durchaus fähig neueste Spiele flüssig darzustellen, nur nicht mehr mit allen Details und in hohen Auflösungen. Besonders anspruchsvolle Spiele laufen nur in minimalen Detailstufen, wodurch die grafische Qualität oft deutlich leidet. Diese Klasse ist nur noch für Gelegenheitsspieler empfehlenswert. Der Stromverbrauch von modernen Grafikkarten in dieser Klasse ist dafür geringer und erlaubt auch bessere Akkulaufzeiten. Intel HD Graphics 520: Integrierte Grafikkarte (GT2), welche in einigen Skylake-CPUs (ULV-Modelle, 15 Watt TDP) verbaut wird.» Weitere Informationen gibt es in unserem Notebook-Grafikkartenvergleich und der Benchmarkliste. Stromspar-Doppelkernprozessor mit nur 2.0 GHz Basisfrequenz aber einem Turbo bis zu 3.2 GHz (bei ausreichender Kühlung). Integriert die Intel HD Graphics 4000 (jedoch nur mit 350 - 1150 MHz Taktung) und einen DDR3-1600 Speicherkontroller. 6Y75: Auf der Skylake-Architektur basierender, sehr sparsamer ULV-SoC (System-on-a-Chip) für Tablets und 2-in-1-Notebooks. Integriert unter anderem zwei CPU-Kerne sowie eine Grafikeinheit und wird in 14-Nanometer-Technik gefertigt. 81.73%: Diese Bewertung muss man eigentlich als durchschnittlich ansehen, denn es gibt etwa ebenso viele Notebooks mit besseren Beurteilungen wie Schlechteren. Die Verbalbeurteilungen klingen aber oft besser als sie wirklich sind, denn richtig gelästert wird über Notebooks eher selten. Obwohl dieser Bereich offiziell meist einem "Befriedigend" entspricht, passt oft eher "mäßiger Durchschnitt".» Lesen Sie auch unsere Notebook-Kaufberatung.